Boomanji is one of the latest Betsoft slot additions, with five-reel slots and ten pay-lines. Boomanji is a non-progressive video slot online game that plays from left to right and right to left. The game contains fewer pay-lines than other slot games and has brilliant graphics and display. This pokie includes an exciting adventure theme with each spin being more mysterious than the previous. 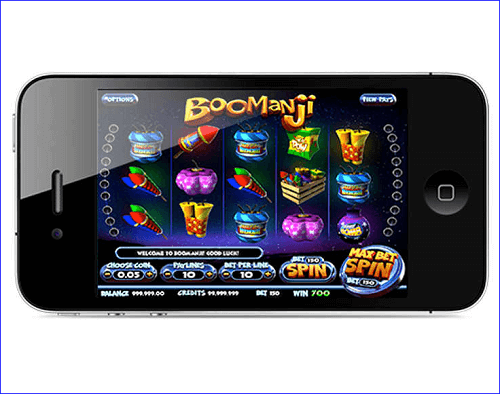 Boomanji is an exciting five-reel slot game with ten pay-lines, ditching the conventional thirty pay-lines. The game starts off with $0.02 bets on each line and allows players to bet ten credits per line. The maximum wager players can make are 0.5 which amounts to AU$50 per spin. The pokies does not include any bonuses or rewards. However, it has great features which will be discussed below. Boomanji has many features to it, such as pay-outs from either direction and increasing wilds. This makes the expanding wilds the game’s bonus feature. When a wild is hit when you spin, the symbol fills one reel that expands and rewards you with a free spin. Therefore, the actual bonus is the wild remaining even for a re-spin. If another wild is hit, you will be rewarded with an extra free spin. However, the expanding wild symbol is limited to three reels, two, three and four. Boomanji pays for combinations both from left to right and right to left, which provides players with an exclusive advantage, as the game pays out faster than traditional games. The game is extremely fast with vibrant fireworks covering the screen every time a winning combination is hit. The game’s jackpot easily exceeds AU$1000 and has a stimulating wild feature. Boomanji is an exceptional game, filled with excitement and entertainment, with unbelievable lights and fireworks that is certain to win any players heart. Boomanji includes a coin denomination of 0,50, 0.35, 0.10, 0.05 and 0.02 which players can choose. A player’s chances of winning increases when they bet higher for every pay-line. The game allows players to choose the amount of credit they wish to wager for every pay-line. The maximum pay-line ten and the bet per line is one to five, making Boomanji a great game for both high-rollers and penny-pinchers. The highest paying icon is three fireworks, with a maximum pat-out of 2500. All pay-outs in the game are multiplied by the line bets. This means that five of these when betting ten coins per line awards you with 25000 coins. The beauty of Boomanji is that it is fully optimised to play on both computers and mobile devices such as iPhone, iPad, android and other smartphones and tablets. Betsoft has made sure that the game loses none of its appeals when enjoyed on mobile devices. The game is as exciting on your mobile device as it is on your desktop. So, now you have the opportunity to take it with you wherever you go. Boomanji is not like the conventional 30-payline video slot games. The gaming experience is enhanced with the fireworks symbol that explodes when a winning combination is formed. The feature to win both ways has increased player’s chances of winning and with the total bet ranging from $0.20 to $50. When all lines are activated, the game surely will impress all online gamblers.